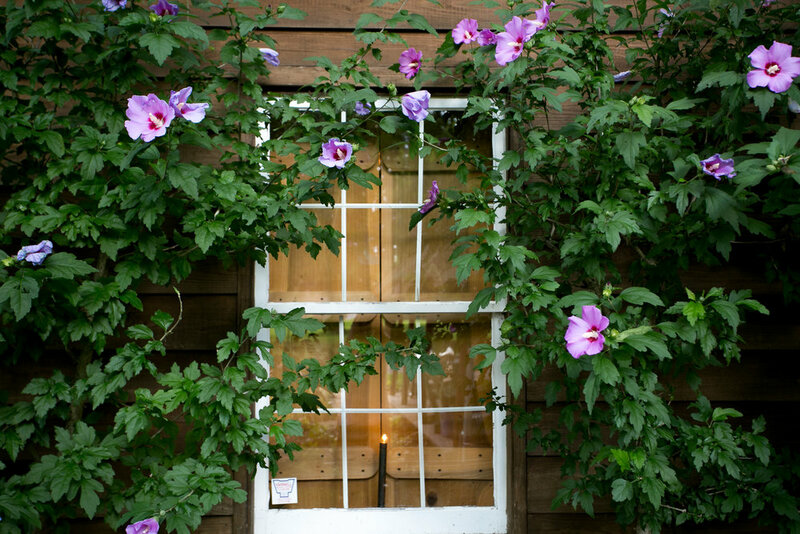 Scroll through photographs of our beautiful venue! This space is the largest indoor space at the Eicher Arts Center, and is the main place where indoor receptions & events occur. There are a variety of tables that are available (8ft rectangle, 6ft rectangle, 4ft round, 40" square). There are 115 blue padded chairs that come with white covers. Also, 12 wooden wedding chairs are available (usually used for the wedding party). In this room, there is space for 80 guests. The entire indoors of the Eicher Arts Center is climate controlled. In the loft balcony, there is space for 25 guests. 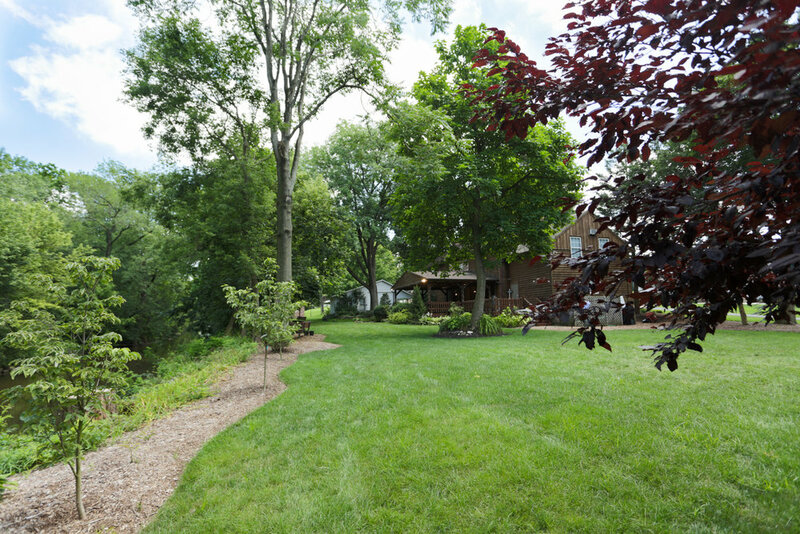 This is the perfect space for privacy, as it is connected with the upstairs private conference room/bridal suite. It is also the perfect place to put a photo booth or other entertainment. It can be used as an extra space for the extension of an event/wedding celebration. 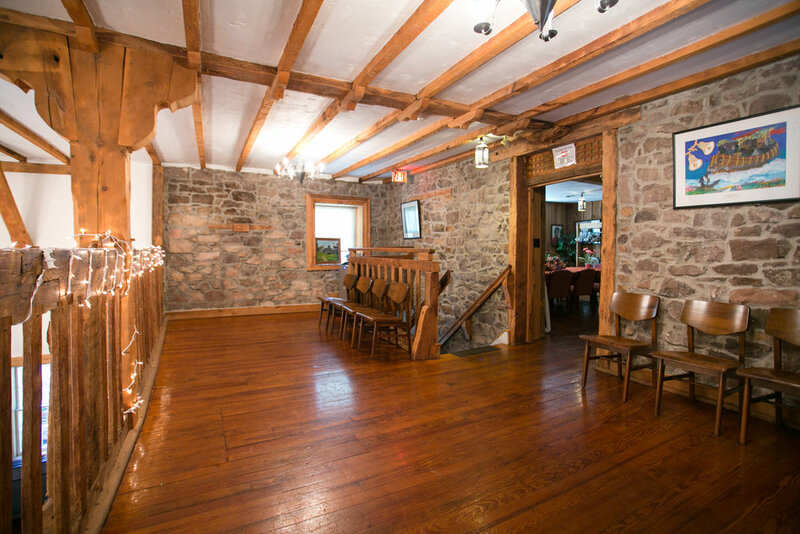 This space is the perfect place for meetings or for brides to get ready. There is an accessible private bathroom for the bride & attendants. The table holds 12 people. Also in this room is 3 floor length mirrors, hooks and hangers for dresses, ample amount of plugs, and ample amount of space for makeup artists & beauticians to work. There are also 4 easels in this room that can be placed throughout Eicher to hold wedding signage. This large kitchen features 2 electric stoves & ovens, 3 fridges, an ice chest, a commercial dishwasher, lots of counter space, and 2 sinks. There is also a table set up in the center for more room to work. 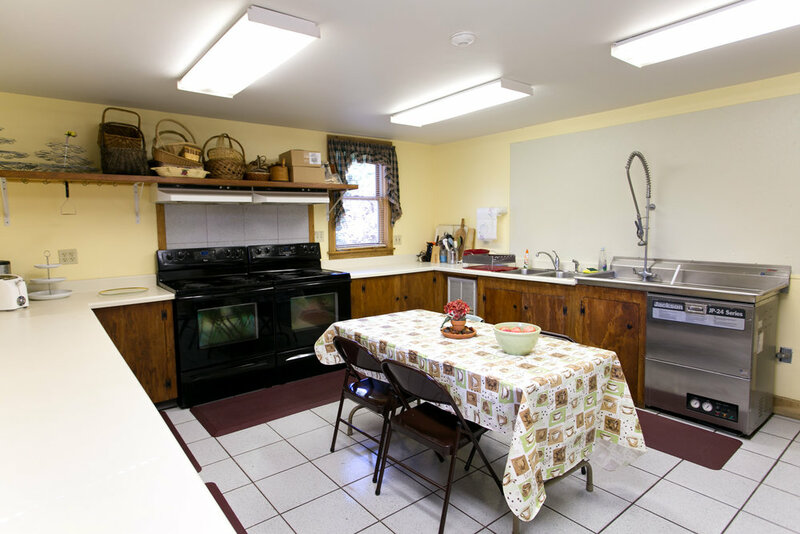 There is a kitchenette before you enter the kitchen that features coffee & tea makers, as well as a microwave. All kitchen & bathroom supplies are provided when you host your event at the Eicher Arts Center. 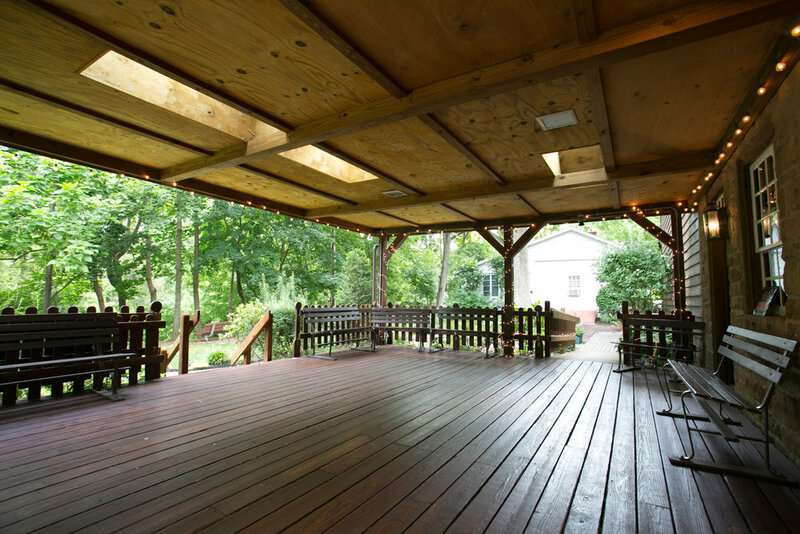 Our covered deck is usually used for buffet display, or for a DJ and dancing. It is very well lit - it features sky lights, and it lights up in the evening to enhance the beauty of your event. 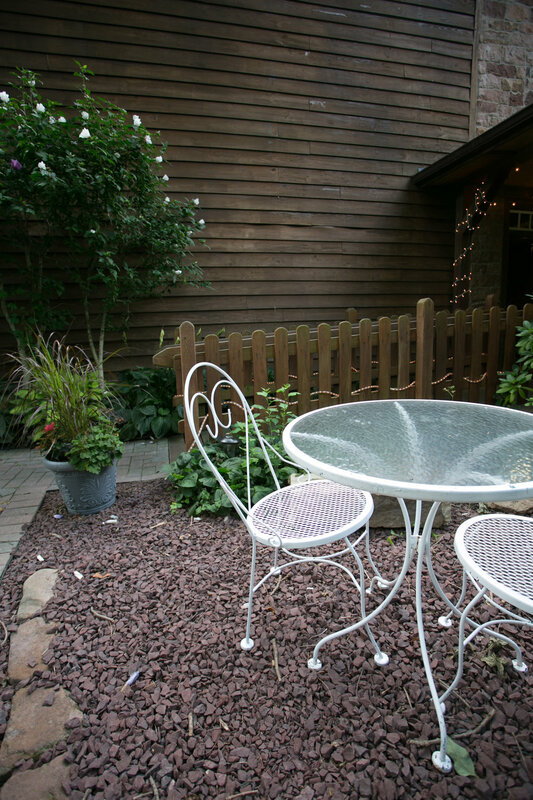 A dozen benches are available, and can remain on the deck or be placed in the outdoor space. The covered deck features 3 entrances, one that is wheel chair accessible. A custom made "wrap around" to close in the space can be rented from Tents for Rent. 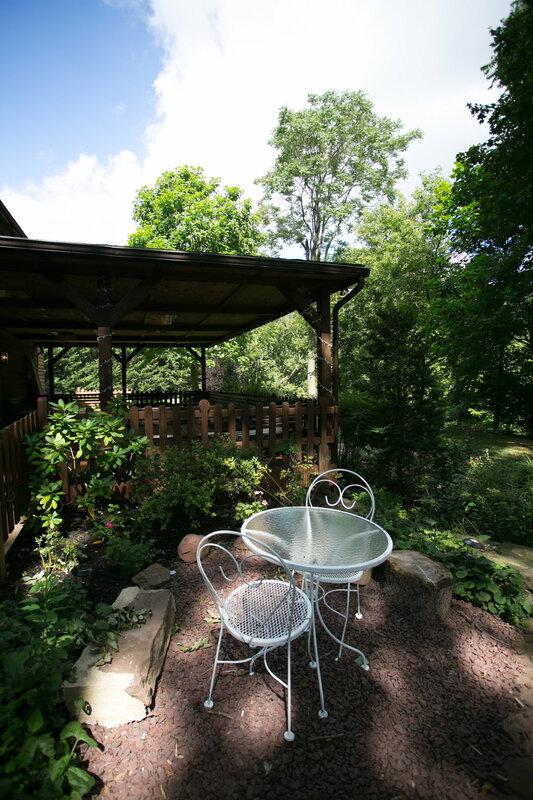 There is also an adjoining small open deck with steps down to the outdoor space. The outdoor space at Eicher Arts Center is well manicured and adorned with a variety of seasonal flowers, trees & shrubbery. Tents can be placed on the grounds for ceremony use. 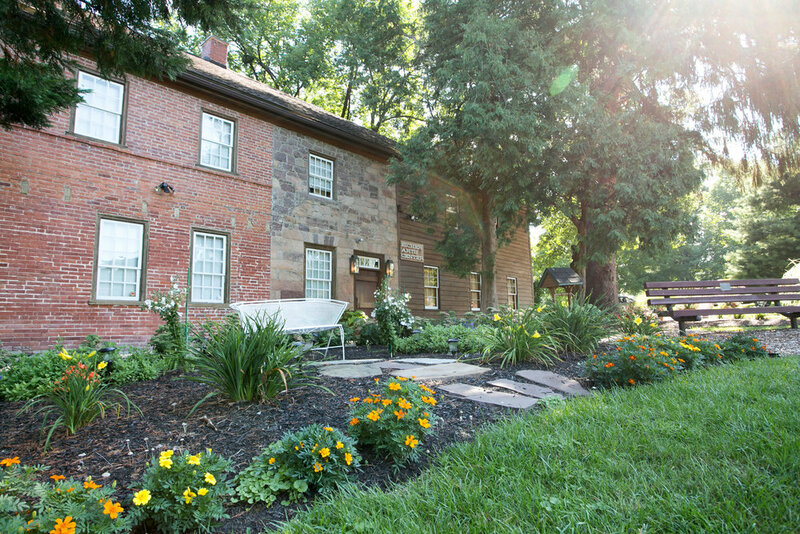 The ceremony space that most brides pick is overlooking the serene Cocalico Creek, and is private.